Makoto always upstages Jinnai without trying, which just aggravates the delusional rivalry that Jinnai has concocted within his own mind. However, when Jinnai attempts to sabotage Makoto's newest invention, the machine creates a dimensional rift and throws Makoto, Jinnai, and several others from their school into a strange, new world that is filled with amazing creatures, beautiful sights, and dangerous enemies. If they ever want to get home, it's going to take wits, courage, and a lot of luck in El-Hazard: The Wanderers! El-Hazard: The Wanderers contains all 26 episodes. Special Features: Line Art Gallery, Full Color Art Gallery, Clean Openings, Clean Closing, Animated Comics. Can't seem to click any stars; It should be 4/5. This is a surprisingly enjoyable series. The animation style is older but despite the occasional meandering of the story its not too difficult to follow and the established clueless guy against the haphazard "evil" genius tropes have the occasional unexpected/odd turn. The female leads are also stronger than the simple waif to be rescued. 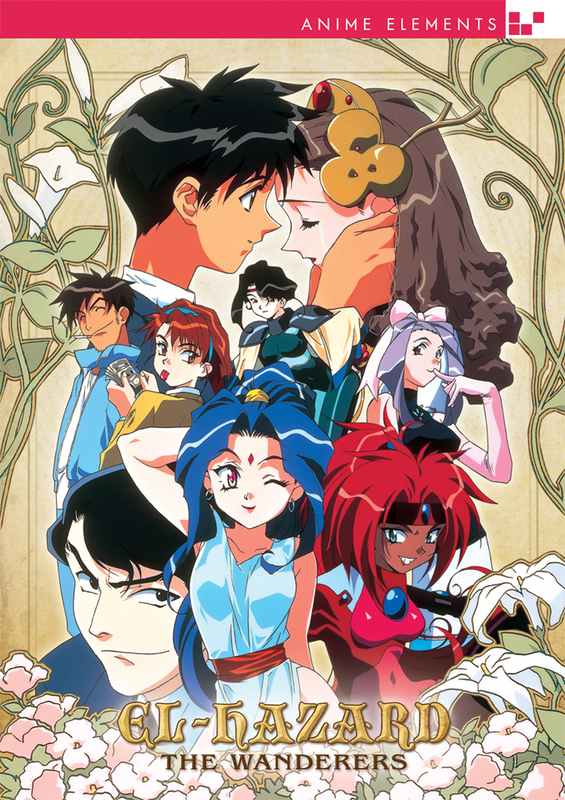 Considering the timing of this anime, there is a clear succession in some of the "modern" titles such as "Aesthetics of a Rogue Hero" and even slightly older titles such as "Tenchi Muyo: Geminar". El-Hazard, in comparison has no clear fan service other than a few quick innuendos. There are few brief scenes that may be scarier or tense for younger kids. Clarification: this set contains the El-Hazard TV series, not the original OAV series. It's an alternate retelling, and you do not need to see the OAV to enjoy this series. And what a series it is, with lots of action, humor, and a romance that takes its time to grow organically, all fueled by a fantastic ensemble cast. My personal favorites are the Jinnai, the cackling student council president turned villain, and Fujisawa, the teacher who has super-strength but only when he's sober. Overall production qualities are solid (the character designs are particularly sharp, to my eye), though there are occasions later in the series where the characters are a tad off-model, and the story grabs your interest from beginning to end (with only one episode in the middle that feels a bit like filler). Definitely worth a watch.